The Yom Kippur War was an armed conflict fought from the 6th to the 25th of October, 1973 between Israel and an Arab coalition composed mainly of Egypt and Syria. It is the Fourth Arab-Israeli war. The conflict began with the sudden attack of the Egyptian and Syrian armies: such aggression took the Israeli political and military leadership by surprise and placed Israel’s armed forces in great difficulty. The Egyptian troops, which were well equipped with Soviet anti-tank and anti-aircraft missiles, successfully crossed the Suez Canal. Despite their great losses, they were able to push back Israeli counter-attacks. Meanwhile, the Syrian forces occupied the Golan Heights. 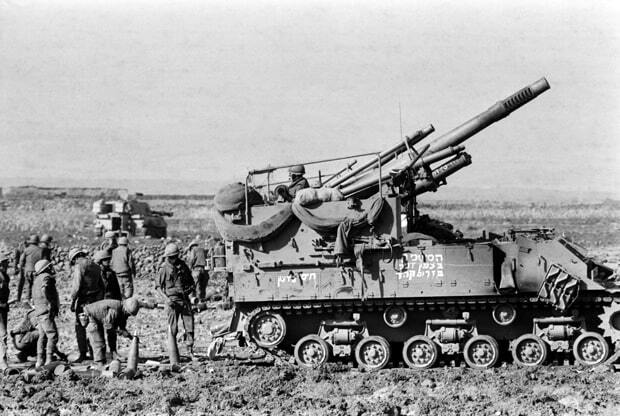 However, following fierce combats, the Israelis managed to defeat the Syrian tanks in the Golan Heights: they successfully started counterattacking the Syrians in the Sinai, they crossed the canal and advanced towards Egypt. Thanks to the intervention of the United States and the Soviet Union, an escalation of the conflict was avoided, and a “ceasefire” was accomplished. The war ended therefore without resolutive results from the military point of view. However, it demonstrated that the Arabs were able to defend themselves from Israel. In Israel, the sudden war had caused strong political controversies that culminated in the resignation of Prime Minister Golda Meir, the Defense Minister Moshe Dayan, and Chief of Staff David Elazar. The war began when Egypt and Syria launched on October 6, 1973, a surprise attack, respectively in Sinai and the Golan Heights, i.e. the territories that Israel had conquered in 1967 during the Six Days War. The Egyptians and Syrians advanced during the first 24-48 hours, after which the situation began to enter a phase of stalemate and then turned into Israel’s favour. During the second week of the war, the Syrians had been completely defeated and were out of the Golan Heights. In South Sinai, the Israelis had attacked the communication points between the two Arab armies and had, in turn, entered the Egyptian territory after passing the Suez Canal (which served as a frontier before October 6). At the time of the ceasefire, although they still possessed a strong missile system, the Egyptian army was cut off from any supply line and did not have contact with the other Arab countries. The conflict had long-term implications for many countries. 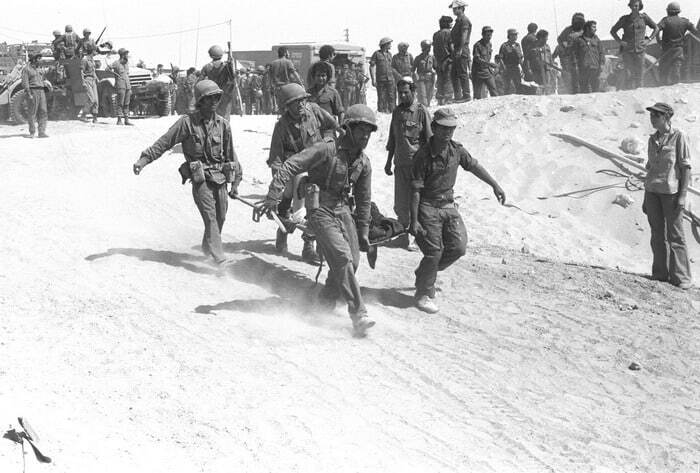 The Arab world, which had felt humiliated by the complete defeat during the Six-Day War, was able to feel psychologically satisfied by the victories obtained in the first part of the battle. Although after the first sensational Arab successes, the situation slowly turned in favour of the Israeli army, there is no doubt that the Egyptians demonstrated great strategy throughout the combat. Moreover, during the Ramadan, the Israelis were fasting and praying, and as a consequence, the entire nation (which had no radio nor television for 25/26 hours) could not even be informed of the invasion. Only a few thousand Israeli soldiers on duty worked to oppose the Arab forces. Soldiers at war, just as children, the elderly, pregnant women, the sick, etc. (who do not observe the obligations of Ramadan), were exempt from fasting. 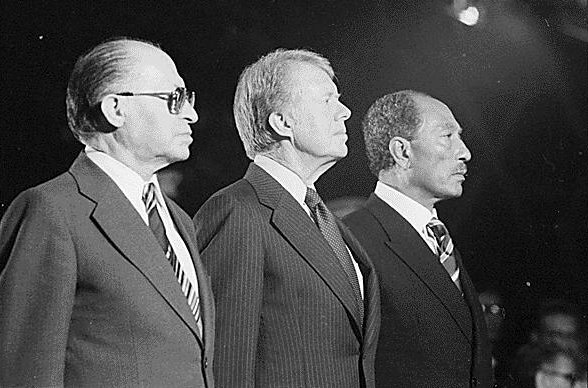 The 1978 Camp David Accords led to the normalisation of the relations between Israel and Egypt, the first Arab nation to recognise the existence of the State of Israel. Egypt, which had already substantially freed itself from Soviet influence and aid, implicitly declared its willingness to break away almost entirely from the USSR. One of the factors that caused the conflict was the unsolved territorial problem caused by Israel: in fact, during the Six Day War (a pre-emptive strike launched by Israel against Egypt, Jordan, and Syria in 1967), Israel had annexed territories that belonged to the Arabs. Following this very short war, Israel conquered Sinai, the Golan Heights to the north, Transjordan, and east Jerusalem. The leaders of the war in 1973 were Anwar Sadat (an Egyptian dictator who had recently succeeded Abdel Nasser), and Hafez al-Assad (a Syrian dictator, father of the current dictator, Bashar al-Assad). Both were secular nationalists, exponents of the pan-Arab nationalist movement (this signifies that their defence of Arab communities was not based on their Muslim religion, but on the common belonging to the Arab ethnic group). Pan-Arabism had led the dictators to various experiments such as the United Arab Republic (a union lasting three years between Syria and Egypt) and then the Federation of Arab Republics. However, these experiments failed. Both countries were confronted with similar problems: Syria and Egypt were facing a difficult economic situation, as well as opposition by internal religious minorities (such as the Muslim Brotherhood in Egypt), and pressure from the most educated and nationalist classes who wanted to take back the territories taken by Israel during the 1967 war. When the great powers decided to maintain the status quo in the Middle East with the Oslo conference, Sadat and Assad took the decision of a surprise attack against Israel. The date chosen for the attack was October 6th, the day of the Yom Kippur, the most solemn feast of the Jewish calendar, during which the faithful must practice prayer and fasting. The almost completely unexpected attack took the Israeli army by surprise causing serious losses. Curiously, that year, the Yom Kippur festivity coincided with the Ramadan. Military action began at 2 pm on October 6, 1973. That morning Golda Meir, the Israeli prime minister, met with her generals. She was warned that Syria and Egypt, and perhaps Jordan, would probably launch an attack soon. Meir refused to launch a pre-emptive attack claiming that if Israel attacked first they would lose their chance of getting aid from the West. The Egyptians crossed the Suez Canal and on the first day of the war, they brought 100,000 men and about 1500 tanks to the Israeli shore. The Syrians were also successful since they managed to occupy the Golan Heights on the first day of the fight. Because of its aviation, equipped with modern American aircraft, the Israeli population believed that the army would to be able to stop in advance any invasion. However, Egypt was fighting with the Soviet anti-aircraft missiles – the SAMs (the same missiles that had knocked down the plane of former presidential candidate John McCain in Vietnam). Such weapons outsmarted Israel’s initial advantage, forcing the country to fight a bloody land war. Especially in the early days of the battle, Israel’s losses were very serious. Israeli tanks were launched against Egyptian and Syrian divisions in a desperate attempt to slow down its advance while the rest of the army was mobilised. Lots of Israeli tankers were killed by new Soviet anti-tank weapons. Meanwhile, Israel’s cities were faced with continuous blackouts, and sirens warned against the arrival of Egyptian and Syrian planes. For a few days, the Israelis felt that the war could lead to defeat and, perhaps, to the end of their state. Within a week, however, the Israeli army managed to reorganise itself and exploit its organisational and technological superiority. The Golan Heights were regained, and on October 14, after a week of very hard fights, some Israeli tanks passed the Suez Canal entering the Egyptian territory. 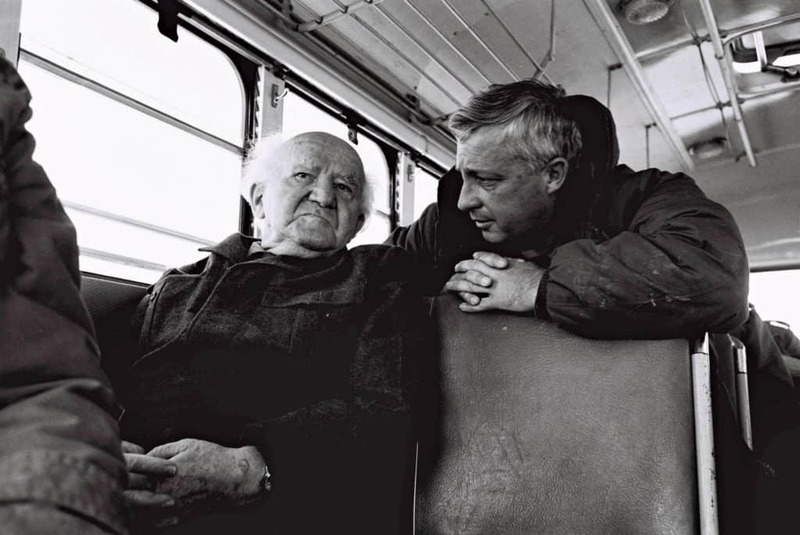 The counterattack was led by General Ariel Sharon, who many years later became the country’s prime minister. It was an event that was celebrated in Israel as a national holiday. Eight days later, the UN imposed a ceasefire. The hostilities ended definitively on October 28. In 22 days of combat, about 15,000 soldiers died (of which two thousand were Israelis), and almost 40,000 soldiers were injured. Despite the final defeat, the successes that the Egyptian army reported at the beginning of the war, helped to restore the Egyptian nationalists’ confidence. Despite the regained confidence, many Arab leaders were convinced that Israel could not be beaten militarily and this, according to historians, encouraged peace negotiations. In particular, Egypt began to normalise relations with Israel after the war and the conclusion of the peace treaty between the two nations in 1979 led to the expulsion of Egypt from the Arab League, which lasted until 1989. A few years after the peace signing, the Egyptian dictator Al-Sadat was killed in an attack. The oil-producing countries, in response to American aid granted to Israel, began an embargo to the United States and many other Western countries, which lasted until 1974. The price of oil increased by 400% and this caused the energy crisis of 1973, which had effects even in Italy, marking the end (together with other causes) of a long period of rapid economic growth that had begun in the 1950s. [1.] Ahron Bregman, Israel’s Wars: A History Since 1947, Londra, Routledge, 2002. [2.] Edgar O’Ballance, No Victor, No Vanquished: the Yom Kippur War, Presidio Press, novembre 1996 , p. 384. [3.] Hassan el Badri, The Ramadan War, 1973, Fairfax, Va, T. N. Dupuy Associates Books, 1979. [4.] Lieutenant General Saad el Shazly, The Crossing of the Suez, Revised Edition, American Mideast Research, 2003, p. 368.